The University Laboratory School (http://universitylaboratoryschool.org/) is a Hawai‘i New Century Public Charter School and collaborates closely with the Curriculum Research & Development Group (CRDG) of the University of Hawai‘i. Also known as the Education Laboratory School, the school asserts two interlocking missions: to provide a quality education to its students, and to serve the educational research and development community as an inventing and testing ground for high quality curriculum and instruction. The school serves about 420 students in kindergarten through grade twelve representing the full range of the state’s children in ethnicity, socio-economic status, and academic achievement. The school is the only school in Hawai‘i with the mission of supporting educational research, curriculum development and dissemination of educational materials and school improvement strategies. 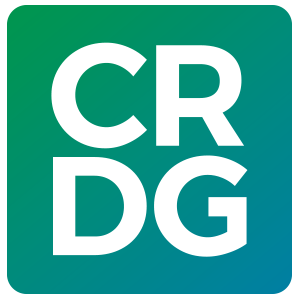 It has long served the Curriculum Research & Development Group as its real-world laboratory. New educational ideas and courses get their early development and trials in the school. As this is a special focus school of choice, parents must be willing to accept the mission of the school and agree that their child will participate in all components of the University Laboratory School. All products produced by students, imagery of all types, and data concerning students shall belong to the school and may be used by the school for, among other things, research, publication, dissemination, and recordings. Over the course of five academic school years, several research studies have been conducted with this course and its students. 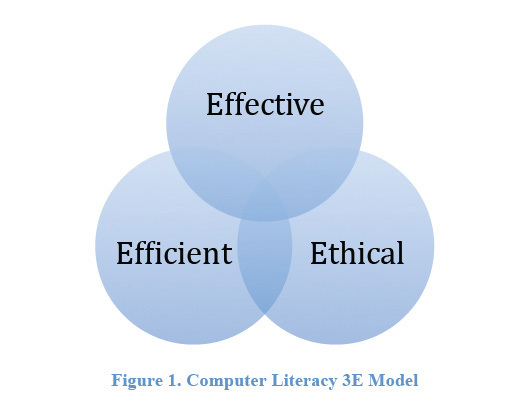 Student understanding of specific software applications, Internet research skills, and considerations of ethics and safety all increased significantly due to a computer literacy course intervention. All students in this study considered the course helpful and useful to their professional growth as digitally literate adults, although they also asserted that they deserved recognition for computer and electronic skills that they already possessed. These students were all raised in society where computer multimedia plays a prominent role. Therefore, their self-learned skills, predominantly social in nature, are not to be taken lightly. Internet research was the lowest gaining self-reported area. Though students were given standardized formats for bibliographies and references, directed towards valid and credible sources, and given techniques in determining bias on the Internet, they still reverted to their standard keyword searching on the World Wide Web. Of note is that the school in this study does not have a school library or an on-staff librarian. Instead, the school relies on the university library and resources available there. Therefore, students do not experience formal information literacy curriculum from a librarian that oftentimes supports and enhances a computer literacy curriculum. In formal computer literacy curricula, equal weight is given to all productivity software applications. Results from several studies, however, illustrate that students demonstrated the least gain in email applications. Perhaps the process of email does not need to be covered as thoroughly, directing more time towards email etiquette and safety instead. Students were quick to point out that they helped their parents and teachers with email and attachments and felt odd when it was a topic of learning in a course. However, results from one study, though all statistically significant, are largely self-reported. Though quiz scores were analyzed, they were not developed as criterion-referenced test items, and as such, cannot be empirically compared. Future developments of assessments schemes for this course should be better designed so that those comparisons can be made. Before the class, many students already considered themselves highly computer literate since they interacted frequently with video game consoles, MP3 players, cell phones, and chat rooms. Students used these aspects of computers and technology frequently. Yet, students had difficulty in completing specific computer-related tasks such as formatting a word processing document, establishing formulas in spreadsheets, and properly distinguishing terms such as upload and download. Results indicated that students were not computer literate in terms of workforce-oriented computer tasks, yet were comfortable and well versed in the social aspect. Therefore, the assertion that American students are not digitally literate is a rather accurate assessment. However, a clearer definition of digital literacy perhaps needs to be developed. Students were adamant during the discussion that they be recognized as digitally literate. Teachers and parents, they asserted, had a different perception of mastery which included word processing and spreadsheets. The students questioned when they would have ever needed to use or learn those particular skills. One student even said, “Isn’t that your job to help us rather then saying we don’t know? Aren’t we the ones who fix the projectors for almost every teacher who tries to use it? I taught my mom how to email. Doesn’t that count for something?” Students know their computers and electronics as evidenced clearly and unmistakably in their “no computers” responses. In contrast, some students did recognize that they had yet to learn the specific skills needed later in life and appreciate the exposure to those skills. In one study, the mechanism that has caused the most emotional impact—online social networks—was explored. Online social networks contribute daily to fear, love, disbelief, consternation, validation, and excitement. Without having a school assignment behind them, students explore the Web for their own interests, oftentimes encountering other individuals with the same goal. It is rather clear that students consider online social networking as essential not only to their personal peer socialization, but also to their career development in the future. Parents also agree that online social networks have value in the educational sense and support their child’s use of it both for education and socialization, though a little less so for social purposes. Of greatest concern to parents are online sexual predators, cyber stalkers, and cyber bullies. Many parents also voiced that all the issues were large concerns and all equally important. In yet another study, the focus was on comparing perspective of students, parents, and teachers on Internet safety issues for K-12 students. Quantitative and qualitative research methods were used to accomplish this study. The first data instrument was a student survey created based on the research questions in order to identify areas of self-perceived confidence and relevancy. Class discussions were also analyzed for trends. The survey was administered via the World Wide Web to students towards the end of the school year. The second data instrument was a 21-item questionnaire developed for families and teachers that was validated with teachers at the school and a subset of parents. Some preliminary results of interest are that 100% (N=89) of the families responding the survey felt that families, not schools, are most responsible for keeping children safe online. On the other hand, only 64% felt that children should learn about Internet safety at home, whereas 36% felt that schools were where children should learn how to be safe. When asked to rank order in order of concern their worries about Internet safety for their children, online sexual predators received the highest ranking followed by identify theft con artists. The recognition by middle and high school students that a course like computer literacy is necessary is a large leap in thought and of great interest. There are countless anecdotal observations of kids being more computer savvy then their parents, teachers, and other older adults. However, all students in these studies recognized, some grudgingly, that they lacked specific skills that were needed in their future careers and appreciated that chance to learn, practice, and improve upon skills attached to future professions. Great credence was given to the fact that chatting, music downloading, and gaming were accomplished easily by students. But, students learned and recognized that the social, free-time mastery would not earn them coveted jobs later. Overall, students broadened their definition of computer and technology skills as a life skill and expectations of productivity using computers and other technology.